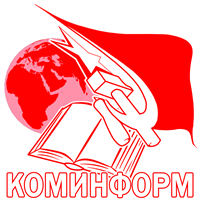 In March of this year of 1919, an international congress of Communists was held in Moscow. This congress founded the Third, Communist International, an association of the workers of the whole world who are striving to establish Soviet power in all countries. The First International, founded by Marx, existed from 1864 to 1872. The defeat of the heroic workers of Paris — of the celebrated Paris Commune — marked the end of this International. It is unforgettable, it will remain for ever in the history of the workers’ struggle for their emancipation. It laid the foundation of that edifice of the world socialist republic which it is now our good fortune to be building. The Second International existed from 1889 to 1914, up to the war. This was the period of the most calm and peaceful development of capitalism, a period without great revolutions. During this period the working-class movement gained strength and matured in a number of countries. But the workers’ leaders in most of the parties had become accustomed to peaceful conditions and had lost the ability to wage a revolutionary struggle. When, in 1914, there began the war, that drenched the earth with blood for four years, the war between the capitalists over the division of profits, the war for supremacy over small and weak nations, these leaders deserted to the side of their respective governments. They betrayed the workers, they helped to prolong the slaughter, they became enemies of socialism, they went over to the side of the capitalists. The masses of workers turned their backs on these traitors to socialism. All over the world there was a turn towards the revolutionary struggle. The war proved that capitalism was doomed. A new system is coming to take its place. The old word socialism had been desecrated by the traitors to socialism. Today, the workers who have remained loyal to the cause of throwing off the yoke of capital call themselves Communists. All over the world the association of Communists is growing. In a number of countries Soviet power has already triumphed. Soon we shall see the victory of communism throughout the world; we shall see the foundation of the World Federative Republic of Soviets. Рубрика: Видео, История, Общество, Основы марксизма, СССР, Учебный материал.